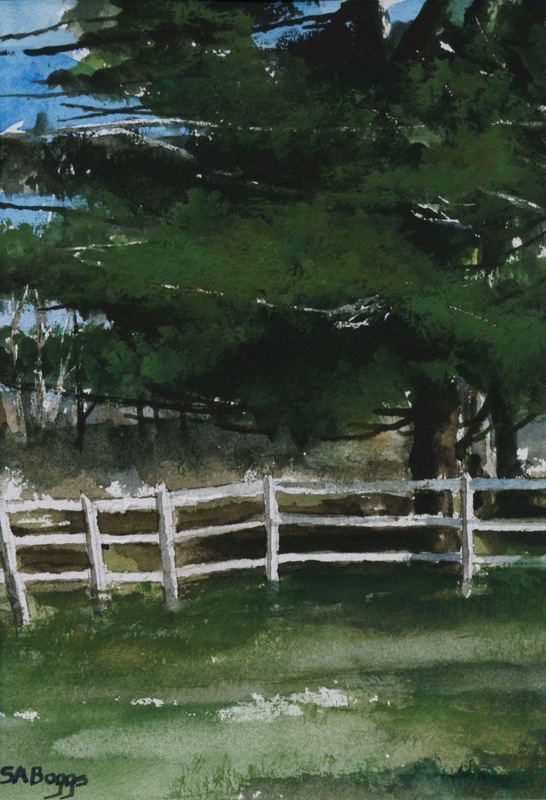 This is a group of pine trees and a white fence bordering a farm in middle Tennessee. 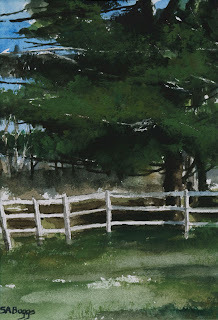 This painting is a watercolor study. 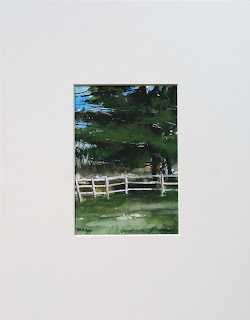 The painting size is 4.5 in. x 6.5 in. 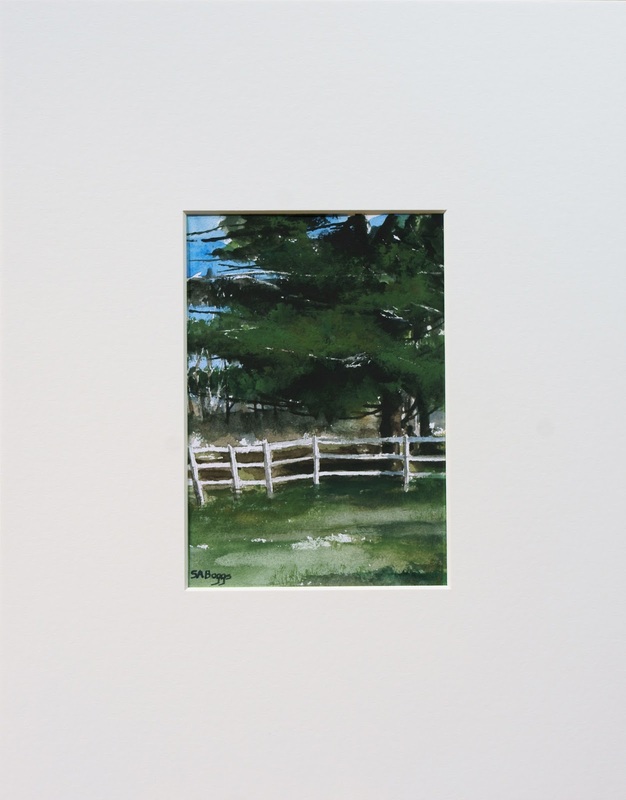 the painting is unframed, but is hinge matted with an archival matte and foam backing which will fit into an 11 in. x 14 in. frame. I hope that you enjoy it!